“Graduation marks not only the end of a momentous life chapter, but more importantly it symbolizes the beginning of a new journey for us”. It’s the words by graduates of Xishuangbanna Tropical Botanical Garden (XTBG) on their graduation ceremony 2018. This year, the “big day” fell on June 14. 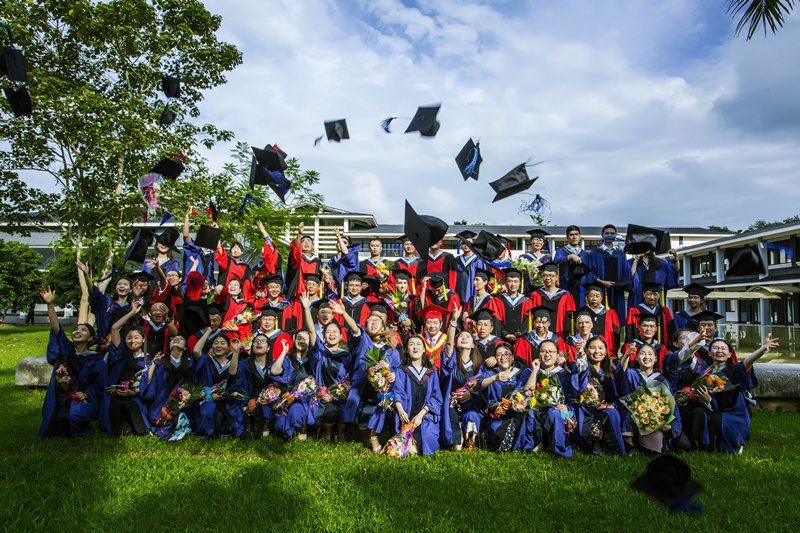 The outgoing graduates assembled in their gowns of master degree or doctoral degree, tossed their hats into the air, marking the successful completion of their studies at XTBG. 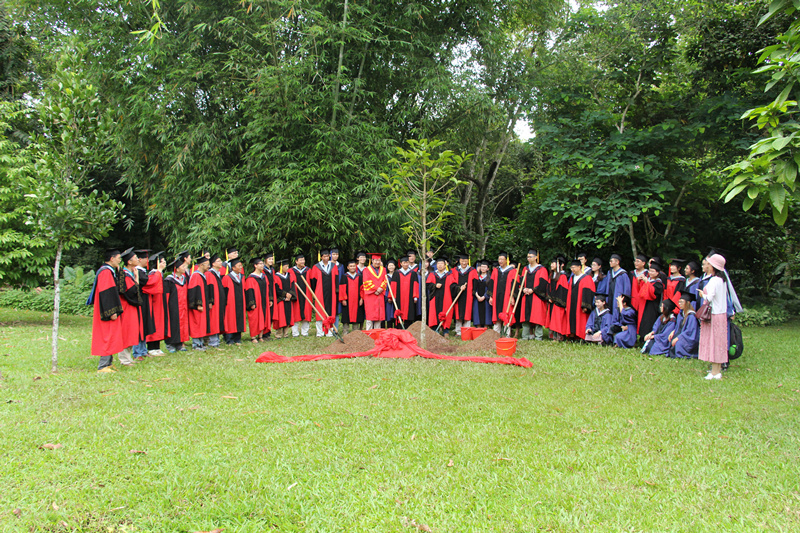 Following the tradition of their alumni, the outgoing graduates in their academic gowns planted a tree (Horsfieldia tetratepala) for memory in front of the students’ apartment. The graduation ceremony and degree awarding was held in the afternoon, presided over by XTBG CPC Secretary Li Hongwei. All students and supervisors gathered together to celebrate the “big day” of the graduating students, to celebrate their academic achievement, to honor their hard work and dedication. Prof. Chen Jin, director of XTBG, addressed the graduation ceremony. He talked about the characteristics of XTBG graduates, showing confidence in their accomplishment and future work. As teacher representative, Prof. Chen Jianghua sent warm congratulations to graduates on their successful completion of studies. Graduate representatives reviewed the joys and sorrows of studying in XTBG, and spoke out their feelings and expressed their heartfelt gratitude to their teachers. Other leaders and teacher representatives also conveyed congratulations and best wishes for the graduates and their family. 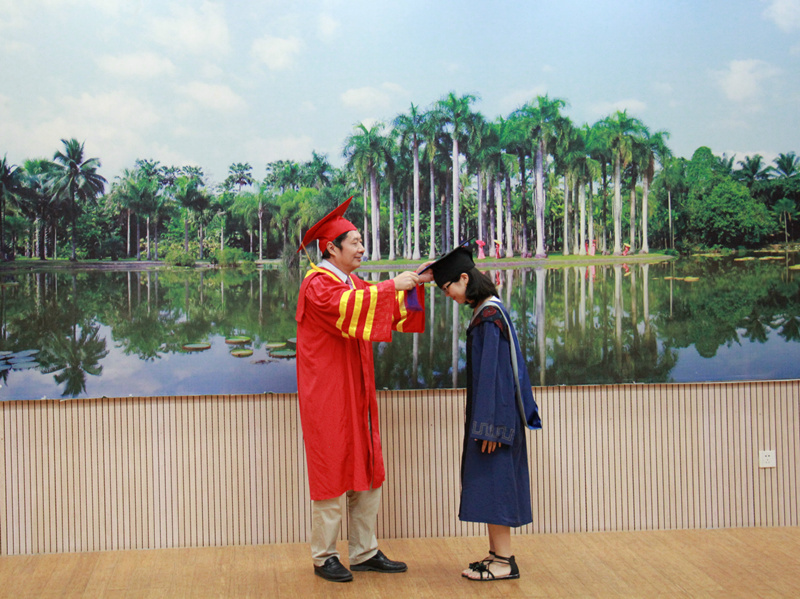 At last, Prof. Chen Jin moved the tassel of the caps of every graduate to the right place. He also posed photo with every outgoing graduate. The audience expressed congratulations to all graduates of doctoral or master's degree amid enthusiastic applause. Profs. Yu Diqiu and Liu Wenyao conferred certificates of honor to outstanding graduates. A farewell evening party was held, which was filled with cheers and applause. Students and their teachers plant a tree for memory. Prof. Chen Jin moves the tassel of the caps of every graduate to the right place.